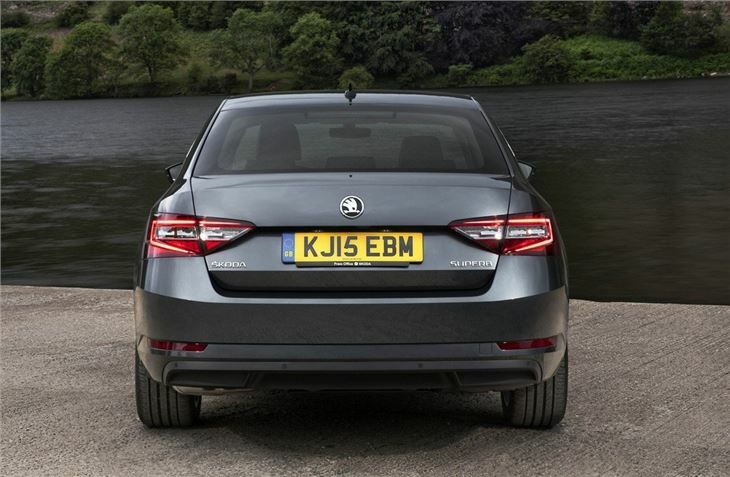 The Superb is the halo model in the Skoda range and remains true to its creator’s value for money principles by providing the size and feel of a luxury saloon for the same cost of a family hatchback. As a result the Superb represents excellent value, with no other model coming close to matching its size, equipment levels or low running costs. 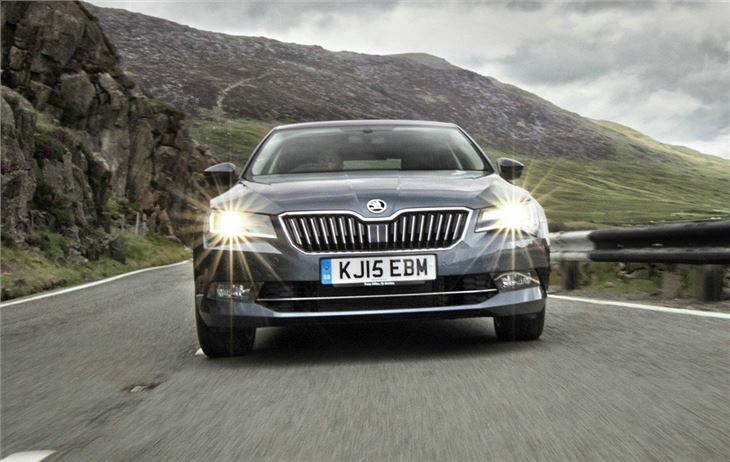 Like the previous generation, the Superb is large and boasts a cavernous interior that has little trouble carrying five large adults in stately comfort. Both the driver and front seat passenger get more head and legroom - while the rear seats provide a limo-rivalling legroom, which means six footers will be able to stretch out and relax in the back over long trips. The interior is filled with high quality materials which provide an upmarket feel that wouldn't be amiss in any German executive car costing upwards of £50,000. 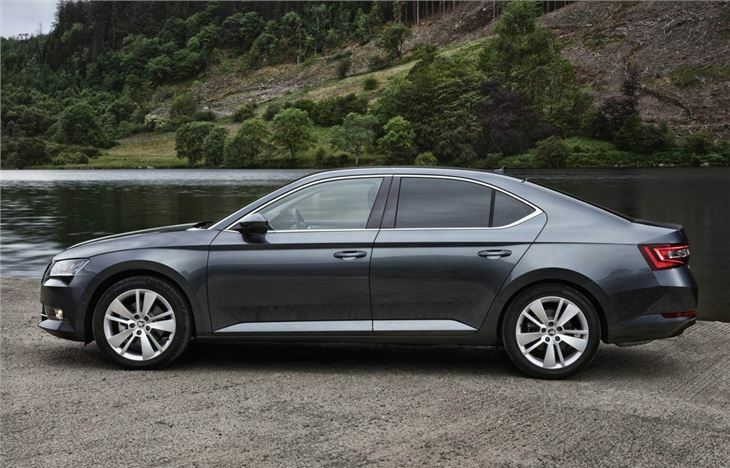 All of the plastics have a soft-touch, while many of the buttons and switches are carried over from the latest Volkswagen Passat, which means they work with a reassuring clunk. The Superb also gets a huge and usefully practical boot. Equipment levels are high and even base S models get alloy wheels, front fog lights, air conditioning and a five-inch touchscreen as standard. An electronic parking brake is also included and has a feature that will automatically hold the car for tricky hill starts. There are seven turbocharged engines to choose from - four petrols and three diesels - and power outputs range from a frugal 120PS to a hot hatch rivalling 280PS. Most engines are linked to a smooth six-speed manual gearbox, although six-speed and seven-speed DSG 'boxes are standard for the more powerful versions. 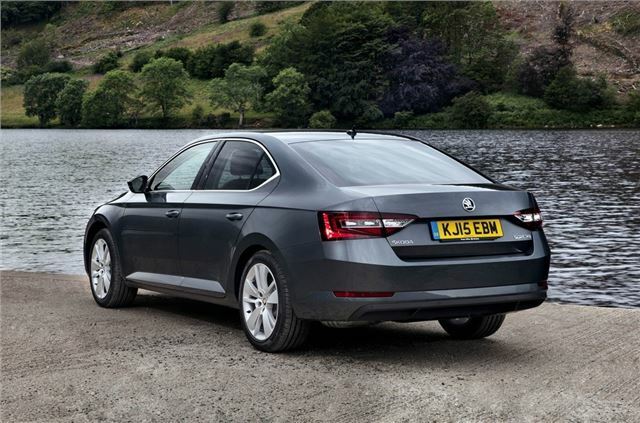 The Skoda Superb works best with diesel power and the 2.0 TDI with 150PS is the best all-rounder, providing plenty of mid-gear acceleration. The diesel is hushed at higher speeds and cheap to run, emitting 108g/km of CO2 and returning a claimed 68.9mpg. If your daily mileage doesn't warrant a diesel then there's also a 150PS 1.4 petrol that will offer an official 57.7mpg. 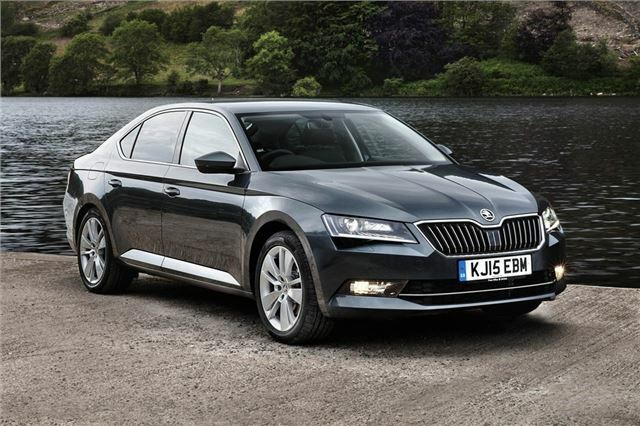 The Superb can also be specified with four-wheel drive, with 190PS and 280PS versions of the 2.0-litre diesel or petrol engines, providing increased performance and towing ability, with the latter offering a braked towing limit of 2200kg. On the road the Skoda Superb is quiet, refined and relaxing to drive, which makes it the perfect companion for long distances. An electronic differential is fitted to all cars as standard, which means the Superb is predictable in the corners with lots of grip, while the soft suspension provides a cushioned ride, even when fitted with 18-inch wheels. However, the Superb is at its best on the motorway and even the diesels are hushed at high speeds, operating with a soothing but quiet buzz. Most models get adaptive cruise control as standard and the steering provides lots of feedback, with a nice weighty feel and smooth operation. 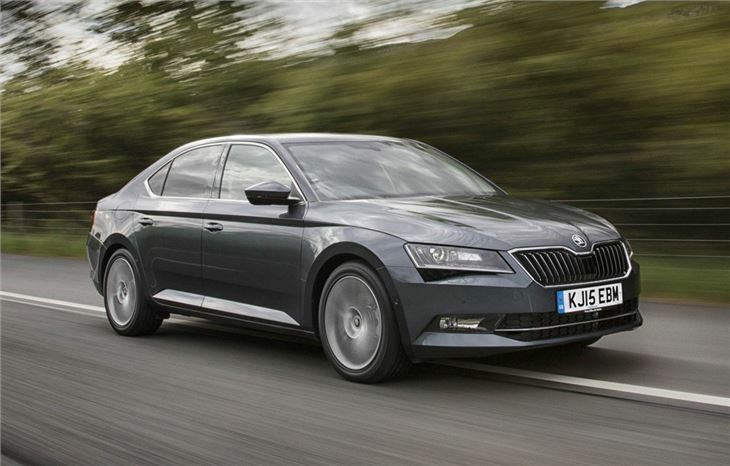 Only the roughest of A or B roads will cause the Superb's suspension to bobble out of sync, but this is a minor criticisms of what is otherwise one of the best and most spacious family cars money can buy. Amazing car in every sense, however niggly electricals hopefully to be sorted soon.